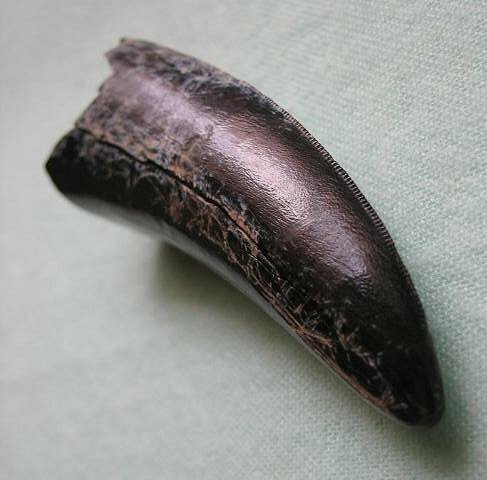 Hey Troodon, this is the same tooth I PMed you about many months ago. Steve Hess of Extinctions told me that it was from a very old collection acquired in the Scollard Formation of Alberta. Length is 3 1/8" along curve.